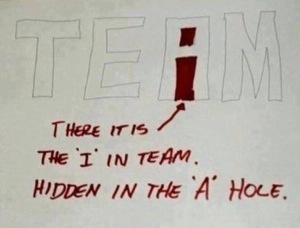 I work in the field traditionally known as HR. I call it HT, for human talent, as I’m pretty sure that we have moved away from an era of considering people as resources–the same word we might use to describe the copier or computer. In HT, we often discuss people’s experiences in relation to employment: What kind of work have you done? What experience do you have in this particular (field, industry, job)? We have a whole segment of the HT industry that focuses solely on communicating people’s experience, and we have a form for that experience called the resume. Defining and describing the culmination of one’s experience can be daunting. It is often the part of the job finding process that people find most nerve wracking, as if summarizing our experiences is a judgement on who we are as people. Does our experience deem us worthy? I’ve spent countless hours with clients on this process, some whose emotional responses to the exercise of highlighting their experience have ranged from screaming to crying to hysterical laughter–and sometimes all three. Why do exercises like this cause such emotional responses? Because experiences–our own experiences at work or in our non-work lives–are extremely personal. Our experiences are lived through our senses and with an engaged brain. We internalize experiences, and they become memories we can recall, stories we tell, and lessons we pass on. It’s difficult to summarize something that touches so many parts of who we are in a bullet pointed list and call it good. These days, experience is taking on a different kind of meaning and importance in the world of business. 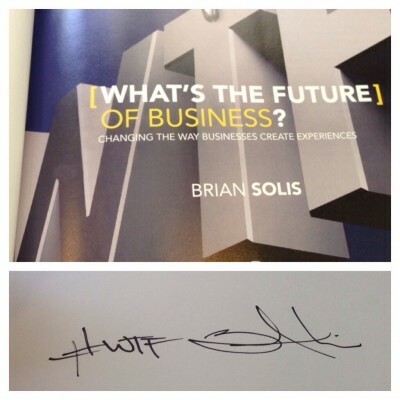 Brian Solis has a new book out entitled “What’s the Future…of Business”, in which he (spoiler alert) tells us it’s all about the experience. Solis asks #WTF of business, but I’m asking #WTF of YOU? He signs the book with #wtf, and when I opened my email today I found that companies have already begun to answer that question. BuiltNY’s header for their most recent email campaign was “welcome to an all new BuiltNY experience”. And when we walked Santana Row in SanJo (my abbreviation for San Jose, California), there was a Tesla store right next to the Tumi store and across the street from the lululemon store. Walking in, we not only saw models of the crazy cool car, but experienced how they are built, what it’s like to customize one for ourselves, and how we might experience a whole new sense of positivity about ourselves not only because we would be driving a Tesla, but eliminating our CARbon footprint at the same time. The experience was so palpable that I’m amazed we didn’t end up walking out having purchased a slate gray version to be delivered to our door. Tesla is providing consumers with a new kind of experience. I loved her comment because I’m in the midst of building a company and I’ve had many discussions around brand and product and technology. But her question wasn’t about the logo or the interface, it was about the whole of the experience someone would have with my products–how would they engage, what impression would they leave? As a self described word girl, I think it’s fun when different meanings of the same word converge on a moment. Right now, at the same time was are watching the rise of the new customer experience–one that will interactively engage us, visually captivate us, and emotionally become part of us–we are also watching the rise of the talent economy. It is at this juncture that as individual contributors to the world of work we begin to think of experience not just as a culmination of tasks and knowledge and achievements on a resume, but begin to think about how the world of work EXPERIENCES US. 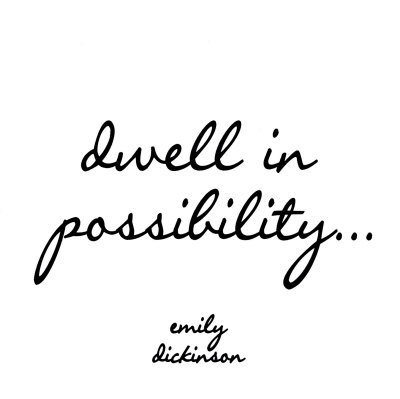 What kind of experience of us do we foster in our world of work, our careers, our everyday jobs? How are we, as individual talent, fostering interactive engagement? How are we captivating our audience–be they our co-workers, direct reports, managers or customers? What personal impression are we making, what will be memorable, and will those impressions become part of stories others tell or cautionary tales they pass on? In this moment of convergence, each of us is more than the culmination of our work experience as spelled out on our resumes: each one of us is an experience. The question is: what kind of experience do we want people to have with us? 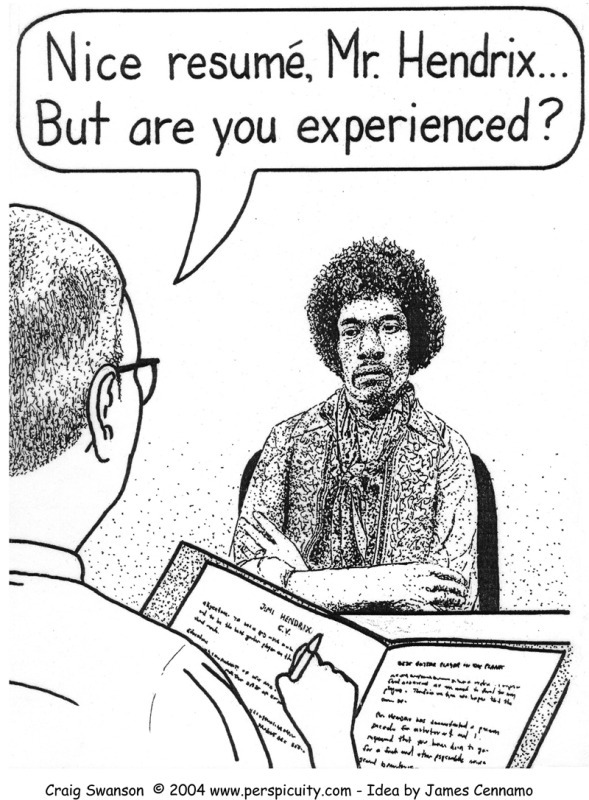 And have we adequately set the stage for that experience? When I read the subject line of the email from BuiltNY announcing their “new” experience, I took a moment to recall my past experience with their brand, their company. And then I wondered what would be different about the new experience. What were the perceptions they were targeting? What were they hoping to change? Brian Solis talks of designing the experience with intention, and I thought that was a great way to think about how we might start building a “new” experience of ourselves within our worlds of work: intentionally. In case this seems a bit theoretical, let’s think about it from a practical perspective. An experience is something that comes through our senses and engages our brain. So, in what way would we want to change how someone experiences us at work? Could we create a sharper visual image–in wardrobe or hairstyle? Maybe genuinely smile more? Could we enhance the interaction we have with coworkers through a more constructive approach to problem solving, or being more positive in how we discuss workplace concerns? Could we be more memorable by being more informed about the things that concern our bosses or that our customers care about– bringing them more value in our conversations and solutions? Could we get to know them more as people and not just as customers or coworkers, take a bit more care with them? Of course how we design our personal experience for others will depend on what we want to change or what we want the experience to achieve, so understanding and outlining outcomes should inform your “experience design”. Perhaps you are in sales and want to increase your personal sales in the company; or maybe you want to be happier at work and have less drama with coworkers; perhaps you want to get leadership buy-in for a new initiative. Whatever your goals, understanding that YOU make an impression on the other people in your workplace and that impression has an impact, is important in becoming intentional about the impression and impact you want to have to help you achieve those goals. So, in this moment of experience convergence, my encouragement to you is to design with the end in mind, be intentional about how you want to be perceived and received, so that the experience of YOU will be engaging, personal, and Tesla-palpable. Adrienne is the founder of HumanTalented, a talent analytics and career development company. She often writes on human talent and business. Previous Previous post: Less Drama. More Substance.